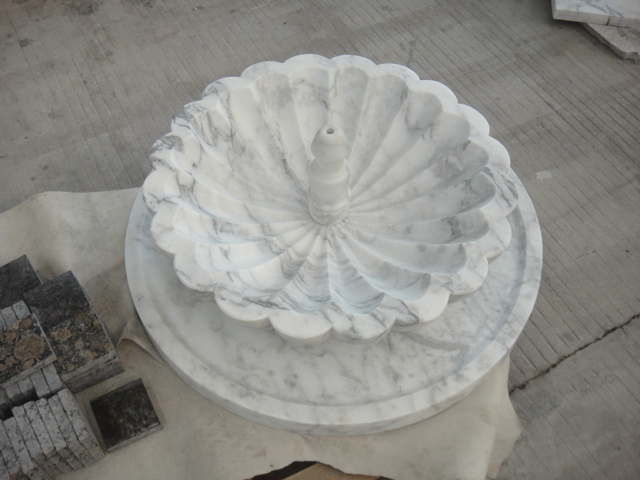 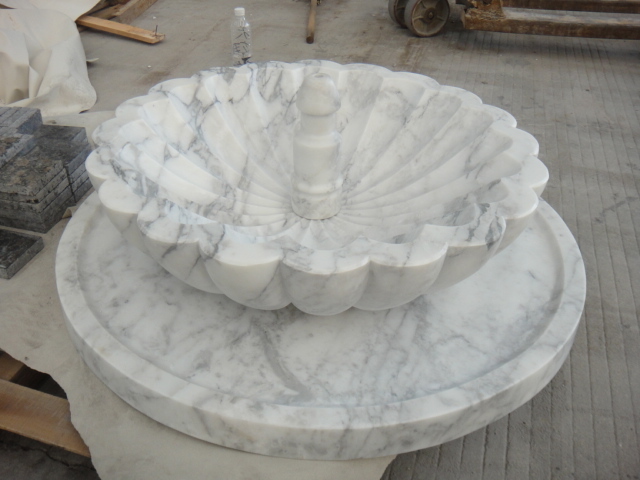 This is a custom Alabsco Marble fountain hand-crafted and carved out of stone for one of our clients. 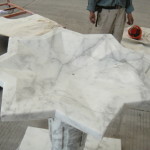 For more images, check out the gallery below. 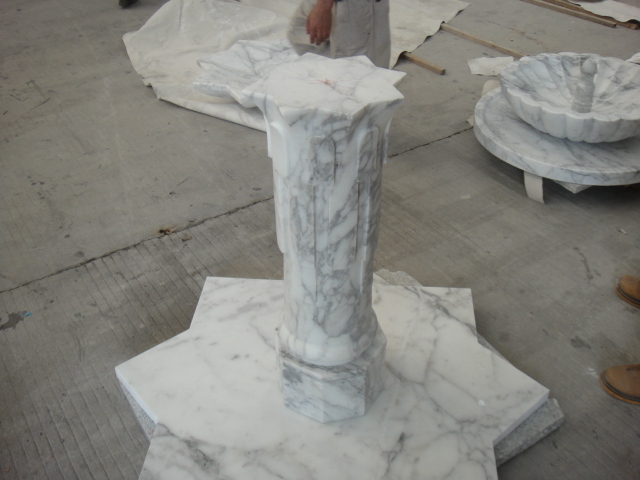 Many architects and designers come to us for custom sculpturing as well as we work with stone masons, and sculptors locally, and some that have been formally trained in Italy and France. 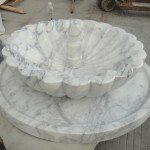 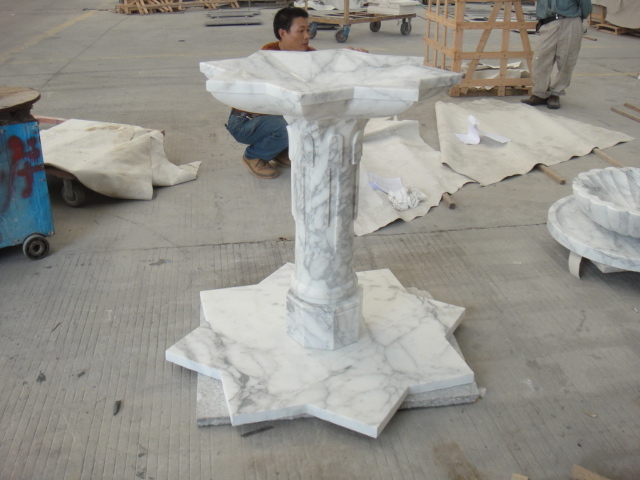 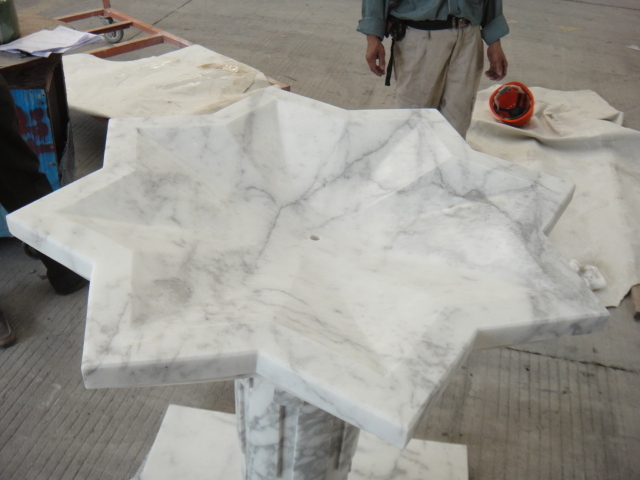 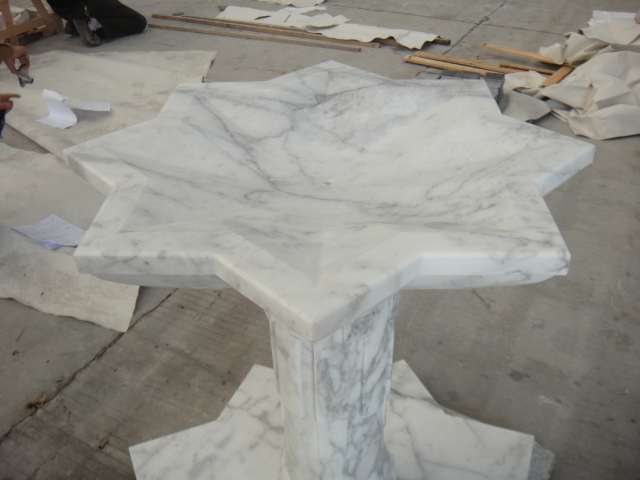 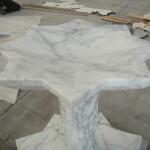 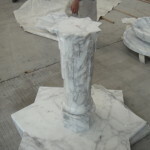 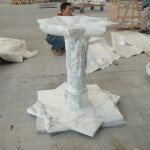 Not only can we custom carve and sculpt the stone to a desired specification, but we also have exclusive contracts with people through Europe; Italy, France, Isreal, Turkey, Portugal, and Greece, who provide as with antique fountains, tubs, urns, pottery, wells, tile, terra cotta, sculptures, fireplaces, etc. 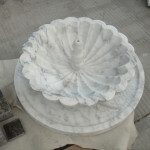 for those who are looking for antique or reclaimed product.